Don't let your diet ruin your transformation goals. Follow these 7 tips from successful BodySpace athletes and build a rock-solid nutrition program! If you want to transform, you can't rely on your workouts alone to get the job done. Losing fat or building muscle takes a lot of hard work in the kitchen, too! Without a solid grasp of nutrition, you won't get the results you're training so hard for. If you want to make 2015 your best year yet, you need to go in with a failproof nutrition game plan. Our BodySpace MuscleTech athletes are here to help! They know exactly what it takes to make the most of your nutrition so you can transform successfully. Implement their tips into your diet plan so you can efficiently burn fat and build muscle. Many transformation hopefuls make the mistake of eating the same amount of calories on training days as they do on non-training days. "People don't fuel properly during their transformation process," says athlete and fitness model Tricia Ashley. "On training days, you need extra fuel to train and help your body repair." On training days, you need extra fuel to train and help your body repair. Ashley recommends lowering your calories on non-training days and increasing them on training days. Her personal calorie count is 2,000 calories on rest days and 2,500 calories on working days. Adjust your calories according to your weight, gender, goals, and workout intensity, but rather than wildly varying your calorie intake by the thousands, use Ashley's 500-calorie swing as a guide. You can source many of these calories from protein and extra carbohydrates, which will help fuel peak performance on your training days. You might think that eating healthy is black and white: You stick to a list of diet-approved foods and never stray. However, it's important to personalize your nutrition plan. "Don't neglect to account for how your body responds to different foods," says fitness model Jimmy Everett. A particular food might be healthy, but it may not make you feel very good. If your body doesn't react well to something, don't include it in your diet plan. If you do cut something out, replace it with a different healthy option. Don't force yourself to eat foods you hate or react poorly to simply because your plan calls for them. There's no question that, to lose body fat, you need to make better choices in the kitchen. Not-so-healthy foods that may have filled your plate before will most likely be omitted in your new plan. Don't, however, eliminate everything you love to eat at the onset of your journey. "Focus on eating healthy foods as much as possible, but don't view any food as 'off limits,'" says personal trainer Lindsay Cappotelli. If you restrict yourself to only eating a few foods over and over, you'll go crazy, and your plan won't be sustainable. "Know that if you make healthy choices for most of your carbohydrate, protein, and fat servings, there's room for a treat here and there. Balance is key," Cappotelli adds. Consuming 20-30 grams of high quality protein at each meal can also help increase rates of protein synthesis and boost muscular growth.2 In other words, protein is king! So, if you started your transformation and haven't increased your protein intake yet, now is the time. Eating more protein doesn't necessarily mean you have to feast on meat every meal though. "Vegetarians can get their protein from lentils, beans, tempeh, and soy," says fitness competitor Danielle Beausoleil. "It's also important to keep in mind that the quality of your food impacts your body. The better the foods you put in, the better you'll feel." Some people avoid dietary fat completely because they think it doesn't belong in a fat-burning diet. The truth is, however, that your body needs dietary fat to burn fat. 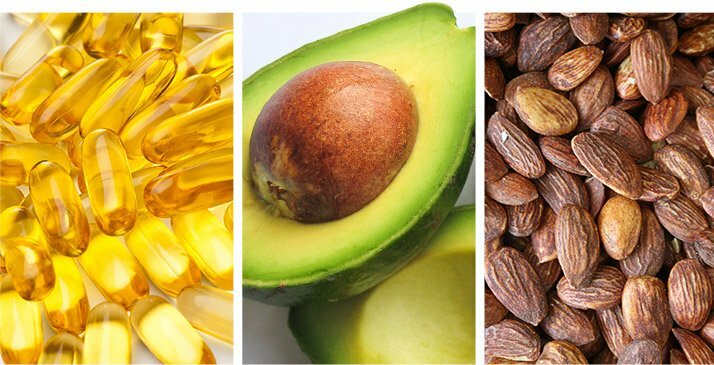 "Studies have shown that eating nutrient-rich healthy fats such as omega-3 fatty acids can actually assist in fat-burning," says Beausoleil. Studies have shown that eating nutrient-rich healthy fats such as omega-3 fatty acids can actually assist in fat-burning," says Beausoleil. Beausoleil recommends a diet rich in healthy fats from fish, fish oil, nuts, avocados, and olive oil, coupled with fibrous vegetables, low-glycemic fruits such as berries, and, of course, ample protein. Going from 2,500 daily calories down to 1,500 in one fell swoop can leave you feeling hungry, deprived, and frustrated. It's much better to cut back slowly. "I suggest starting with a 200-calorie decrease [from what you're eating currently] and then slowly increasing activity and intensity levels," says fitness model James Pulido. Decreasing your calories slowly will help ensure that you see ongoing results. If you drop your calorie intake too quickly at the start of your journey, you'll have nowhere to go from there. Beginning with the minimum effective dose of dropping calories and adding cardio ensures that you'll be able to progress for the long haul. "Staying hydrated is crucial to the fat-loss process," says model Jimmy Everett, "so make sure you drink enough water." Hydration can impact everything from your metabolic rate to your energy levels. Too many people walk around all day in a partially dehydrated state, causing them to feel fatigued when they shouldn't be and eat when they really just need a drink. How do you know when you're properly hydrated? The simplest way is to look at the color of your pee. Your goal should be to get your pee the color of lemonade—if it's looking more like apple juice, then you need to increase your fluid intake. Don't try to hydrate with energy drinks and coffee. 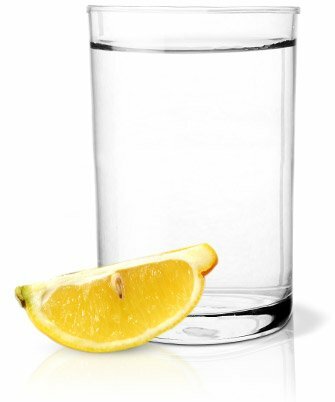 If you don't like regular water, flavor it with some BCAAs or lemon slices. Sustained release protein with amino acids for longer muscle building benefitsGo Now!